The Basque Country’s Regional Climate Change Strategy to 2050 aims to reduce greenhouse gas emissions by 40 percent by 2030 and by 80 percent by 2050 based on 2005 levels; to supply 20 percent of final energy consumption by renewable energy by 2030 and 40 percent by 2050; and to fuel 27 percent of transportation with alternative energy sources by 2030 and 100 percent by 2050. 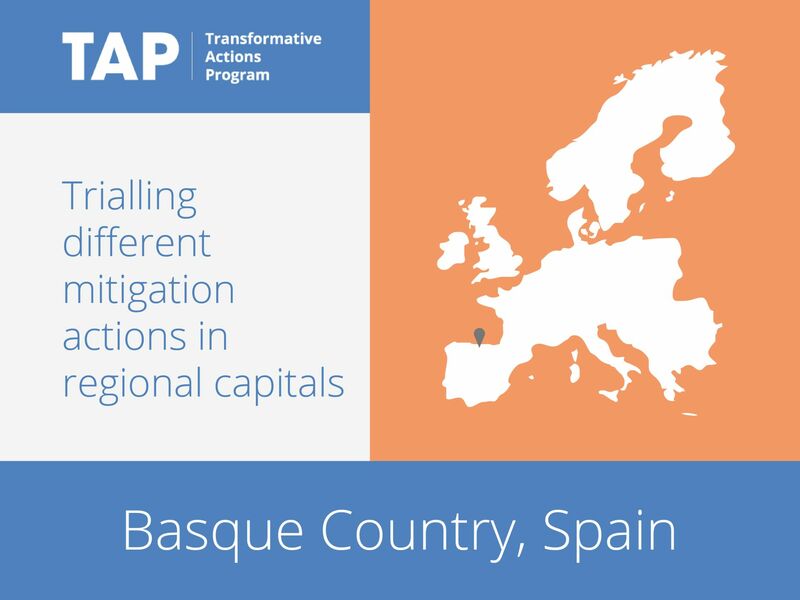 The three capitals of the Basque Country are also trialling different sectorial actions to identify replicable approaches. Bilbao will address flood impacts, Donostia-San Sebastian will green its bus fleet, and Vitoria-Gasteiz will trial nature-based solutions to climate change.